Now that technology makes our lives fast-paced, almost everything we need is easy to have. Just by simply browsing Google or an app store, just about any service or information we need is served on our computer or cell phone screens, and interior designing is one of them. App creators are very keen on formulating an app that is easy to use and comprehend, that even if you’re not at all familiar with a field of study you need, a few clicks will help you learn it fast. Typical examples are these interior design applications. Planning for your desired home layout is now easy even if you didn’t take an interior design course. Just putting up your ideas and adding your style, you can visualize how your house will look like. You can even create a 4D image of your desired room layout or a combination of paint colors. This blog will give you insights on the 10 best interior design apps you can find in the app stores. On top of the list is the famous Houzz app. Talk about interior designing, this app is considered the main source of ideas in relation to this field. It allows users to check on more than 15 million high-resolution photos for that perfect home design idea. These photos can be edited with the use of the sketch option, can be saved, or can be shared. You can even buy real furniture and home decorations using the app through their merchant partners. Moreover, you can discuss or find collaborators, and read articles about certain topics. 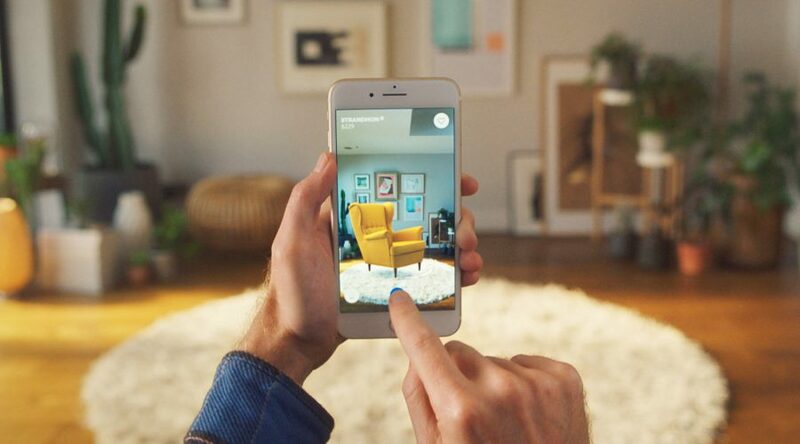 Turn on your camera and you could even use this app to see how a furniture will fit in your home. Home Design 3D can let you draw a floor plan in 2D or in 3D. You can design it the way your actual home floor plan looks like. There’s also a feature where you can fill up your home design with furniture and home decorations to visualize if all your ideas match together. This is supported by over 1,000 home items you can choose. These pictures can be edited and even tilted to see if that actual couch with a weird shape could actually fit in your living room. However, this app requires a bit of learning before you can get used to it. Nonetheless, it works well, and you can even use this when you’re offline. MyPantone is similar to a library of colors. Any interior designer by profession or by heart can easily use this app to see different colors and build palettes that they can share with their clients or friends. Here’s how simple and user-friendly it is, just take a photo of your subject, zoom it in and then click the part where you are having trouble with colors, and in an instant – the app will extract color from the photo and convert them to its nearest Pantone color. This app isn’t exactly meant to do interior designing but is somehow helpful in another way. As Wired called it a “Lifehacker for home”, this app works as a digital personal assistant used to manage tasks in order, lets you set scheduled reminders, and notifies you on various DIY home projects. Any renovation or remodeling plans in your house and you want to make it as personal as possible? Do you want to keep all the exact measurements of your home literally along with you all the time? Then this app is for you. Similar to other apps, this might take lots of practice and know-how to be able to smoothly use it, but it’s easy design and comprehensive app instructions will be very helpful to you along the way. This is for art lovers who collect and display paintings. Curate app lets you see various artworks of some of the leading and independent artists. Before purchasing them, you can first test the waters and see if the artwork you plan to buy looks good on your wall. You can virtually see and scale the painting on your wall through this app. An app that is fairly new to the market, Build.com is similar to the Amazon shopping app, only that this advertises various home construction-related stuff. You can find good deals on construction supplies, tools, and other interior design-related materials in this app. It’s very user-friendly. You can purchase online, check the status of your orders, and create your wish lists and others. You can even seek consultation from project advisers on your concerns regarding home construction and improvement. A vintage items lover? Then this one’s for you. Similar to eBay, Chairish is a user-friendly app that allows you to buy and sell furniture. And we’re not talking about modern furniture, but those vintage ones usually found at flea markets. This is a fun and easy way of shopping in over thousands of vintage finds for the kitchen, living room, or even bedrooms. So if you don’t have time to personally shop at those vintage shops to find good deals, simply tap your cell phone for a very convenient shopping experience with Chairish. Yes, you read it right. The world’s favorite Swedish furniture retailer has set up their app to check on what’s new and hot without having to visit the store. Shopping is put in the convenience of your mobile phone. This is for your wall set-up. If you’re not that sure how your gallery wall will look like, this app is your savior. You just take a picture of your planned wall backdrop, then virtually put the images and voila, you can instantly see how your gallery wall will look like with ease. Kate Manning is a young woman who loves interior design and home decor. She is passionate about new trends and fashion-forward home décor ideas. Kate loves writing for various home improvement blogs and is a regular contributor to many online journals and magazines.